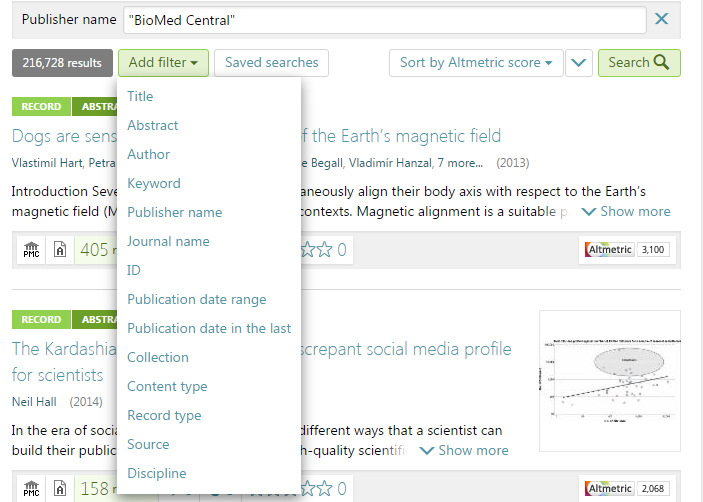 Published content can be filtered by journal, discipline, and which collections articles appear in. 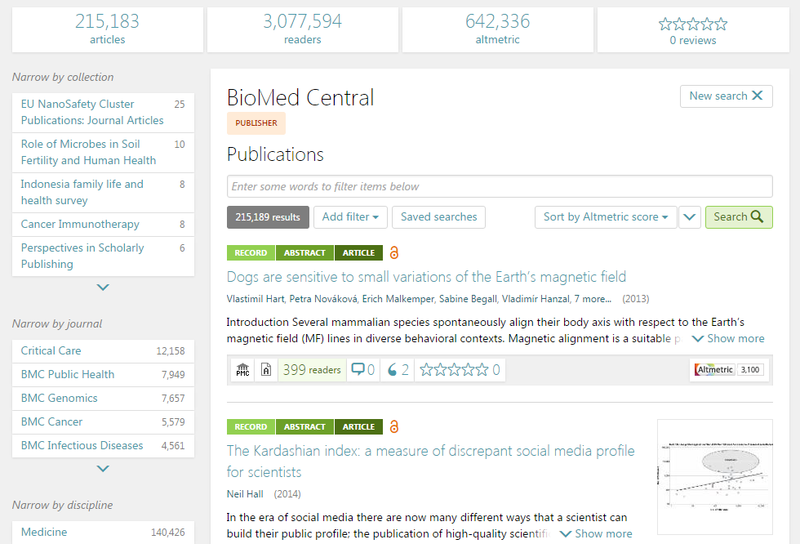 Along with this, they all have our next-generation sorting functionality, so articles can be arranged by citations, Altmetric score, relevance, date of publication, and readership. 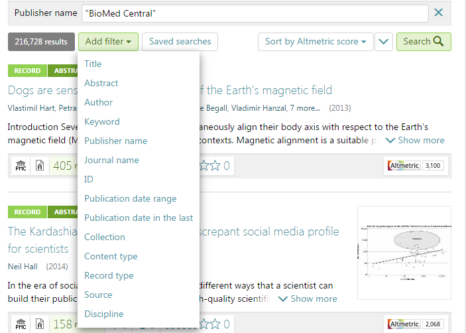 This makes it easier for researchers to discover your research, greatly increasing it’s value for you. Good luck trying to do that with Google Scholar, Scopus, or Web of Science. Publishers can see how much content is in collections and being re-used and enhanced by researchers, and gain insight into a whole new dimension of how communities are engaging with the content they publish. We also display additional related collections and journals, to really add an extra dimension of context to research articles. This is the great thing about what we do at ScienceOpen: We don’t just market your content, we enhance it with contextual information. What is important about all of this, is that it truly doesn’t matter which side of the ‘open or closed’ debate you are on. What we provide transcends this, by exposing the article-level content and providing enhancement services irrespective of the article status. By working with publishers, we provide additional services to the research community that accelerate discovery and knowledge generation – something that we all want. However, with open access articles, there is more we can do with the content, by pulling out the metadata, the references, and the article and integrating that into our research network to really highlight the context of research. This is where the ‘re-usability’ aspect of Open Access really shines, as it enables us to work with content to make it better for both publishers and researchers. So if you work for a publisher, get in touch about how we can enhance your content! And if you’re a researcher, take our platform for a spin and let us know what you think.